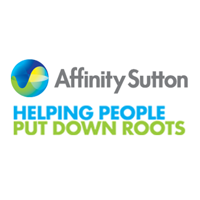 Within their Alum Rock residential community, Affinity Sutton has a void workshop that they wish to utilise for the benefit of residents, local community, and the wider social housing tenants across the Birmingham area. A group of interested stakeholders were brought together to explore the potential for establishing Birmingham Reuse and Social Housing (BRASH) – and uniquely, engaging with a number of social housing providers as part of their voids process. Development in Social Enterprise (DISE) and Social Enterprise West Midlands (SEWM) were appointed to refresh an earlier feasibility study exploring these options and work with interested parties to progress the idea which aimed to provide affordable furnishing options for vulnerable and financially excluded individuals and families moving into social housing, create training and employment opportunities locally, and reduce void clearance costs for social housing providers. The study was informed by visits to existing reuse and recycling enterprises to uncover the challenges, success factors and gather organisational and logistical knowledge. Wider consultation served to quantify the demand for the proposed service. Housing providers identified their current arrangements for recycling of goods, number of voids properties managed, purchase of furniture starter packs and interest in the partnership opportunity. Findings were presented to the BRASH stakeholder group which enabled an open dialogue as to the best way forward in terms of achieving stated objectives, financial viability, partnership development, appropriate service model and likely route to market. An ’Information to Market’ document was also issued to those who had participated in the consultation research, inviting expressions of interest for the proposed service which led to new conversations with a wide range of commercial and social enterprise partners. The approach taken by DISE and SEWM has enabled the “right conversations with the right people” to take place and Affinity Sutton are now in discussions with a range of Birmingham wide organisations to carry BRASH forward. The final development plan showed that by year three BRASH would create nine full time jobs with void service delivery savings of around £27,000 in year one and £83,000 per annum in subsequent years. An estimated 900 families would benefit from low cost furniture solutions by year three. Furthermore, partner housing organisations could reduce void furniture to landfill by 30% over three years.